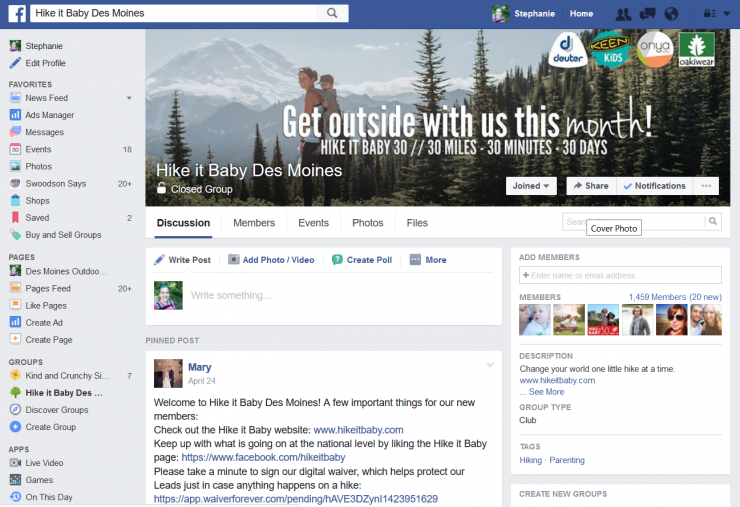 For the past 2 years, I have enjoyed meeting other outdoors-y families through a fun local group called Hike It Baby Des Moines! 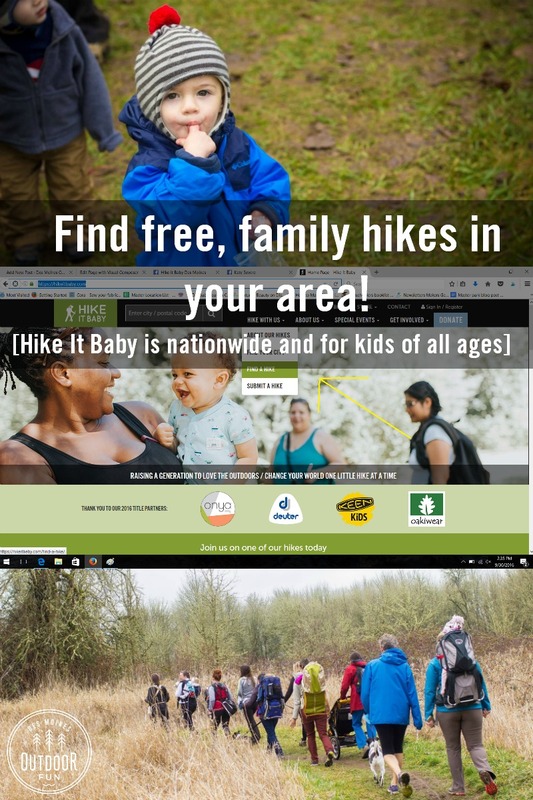 Hike it Baby is a national organization with local chapters, organizing people together for volunteer led hikes. 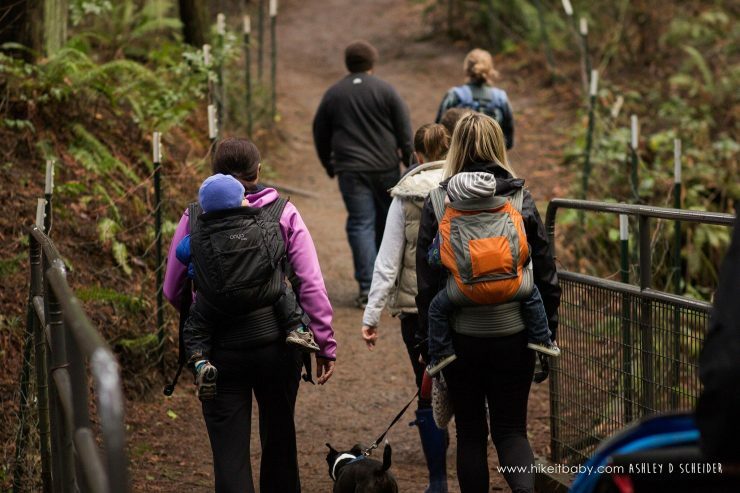 The name is a little misleading – kids of all ages are welcome on the hikes and it definitely isn’t just babies in strollers or carriers. I was so anxious with my first-born, nervous about where to park and what happens if he starts crying. Hike It Baby helps ease all of that; everyone helps one another and all the details are laid out ahead of time. 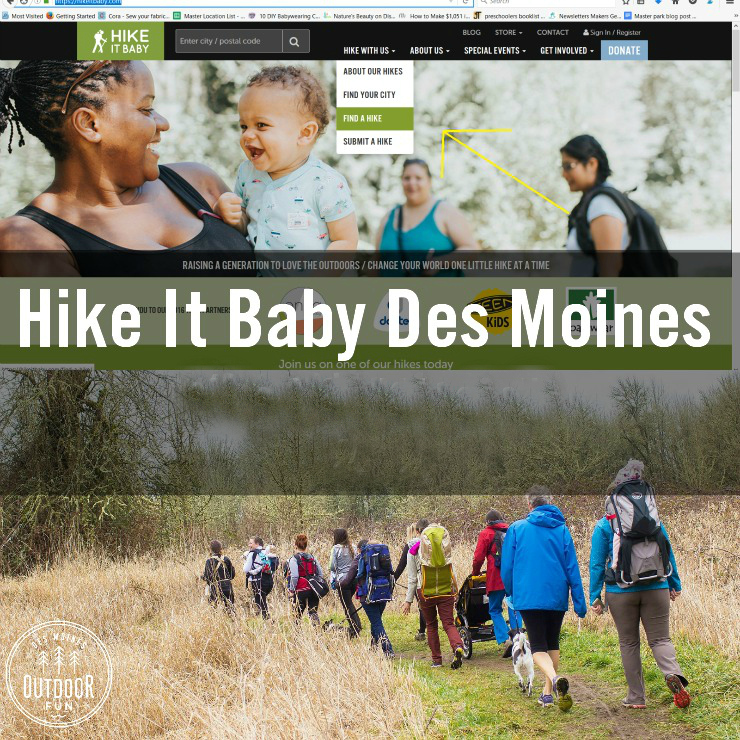 There are two ways to find local hikes – one is to join your branch’s local Facebook group, like this one for Des Moines, Hike It Baby Des Moines. 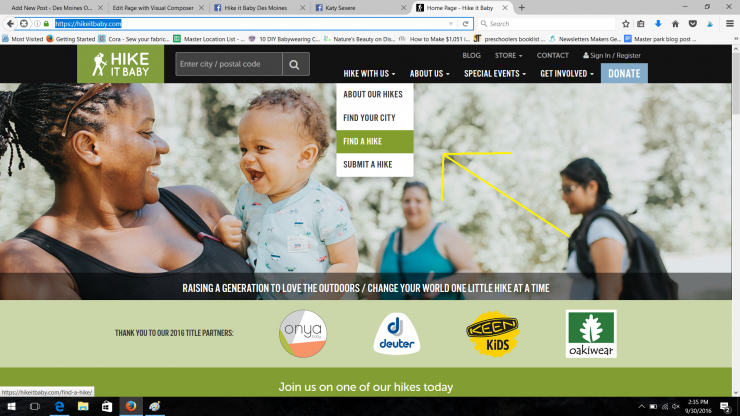 The second is to log on to the national website and click ‘find a hike’ from the dropdown menu. You can see upcoming events; there isn’t any RSVP requirement so you can just show up and enjoy! You do need to create an account that comes with a free 90 day trial, with a membership at $10 a year after that (for the whole family). Pretty cheap for weekly entertainment! 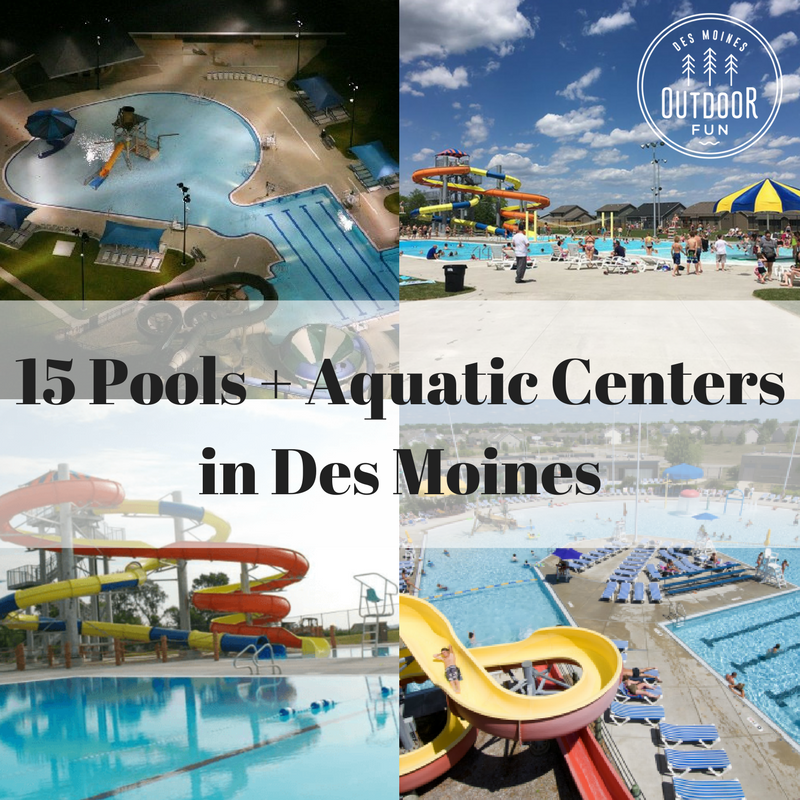 The hikes are all categorized depending on terrain, style, and speed. 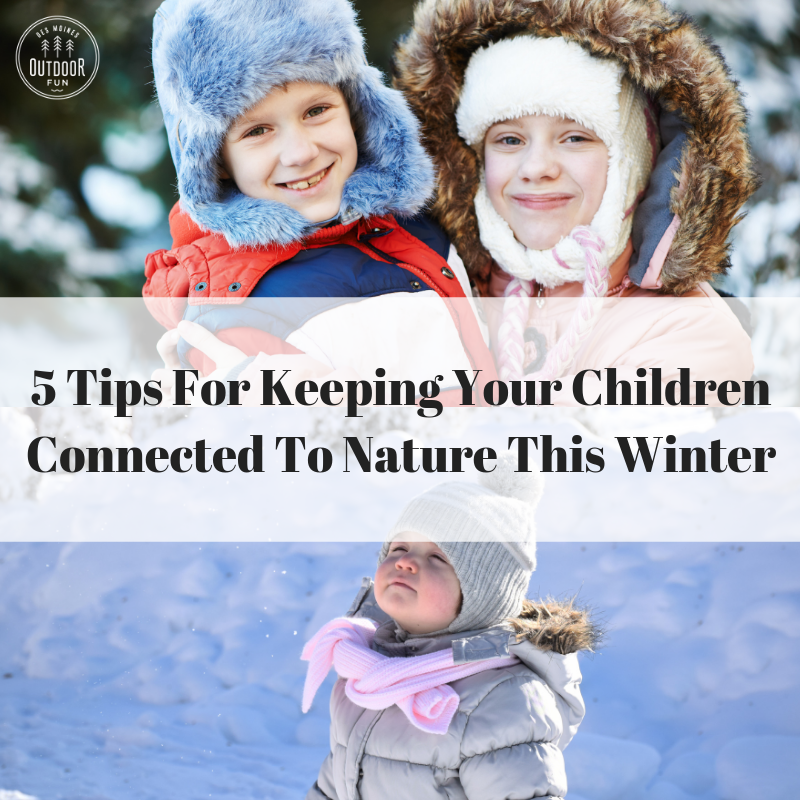 We tend to do “kid-led” ones where my kids can walk and burn some energy. Locally, hikes tend to be more common during the week but there are regular weekend options. The best part is, anyone can lead a hike! This is a screenshot from the local group; there is a pinned post at the top with relevant info for getting started. Each Sunday a thread is posted with times and dates, but it doesn’t hurt to keep checking in to see if anyone has announced something last minute. I have discovered several cool new places to hike and explore thanks to other people leading hikes in my area, it’s nice to just show up and have someone else show you around. I really enjoy getting to introduce some of my favorites to new families as well, leading a hike is extremely simple and a great way to meet new people. 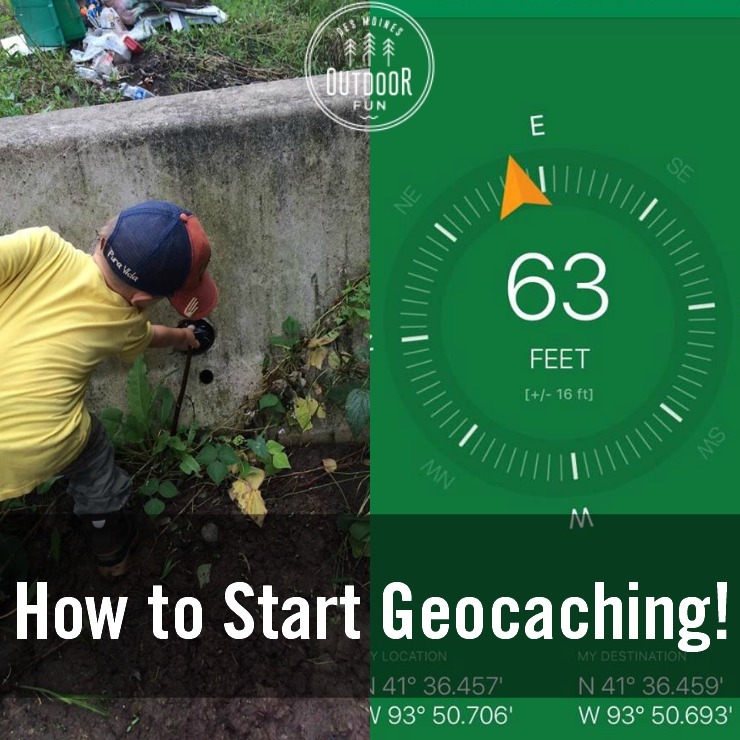 I’m hoping that my interactive map can be of use to local HIB’ers looking for new places to explore; I know Hike it Baby and the awesome volunteer branch leads have helped me get outside more often.